As a member of Team CHECT you will receive full support with your fundraising and an experienced event team will take care of all of the logistics during the event, ensuring that you have the best possible experience. 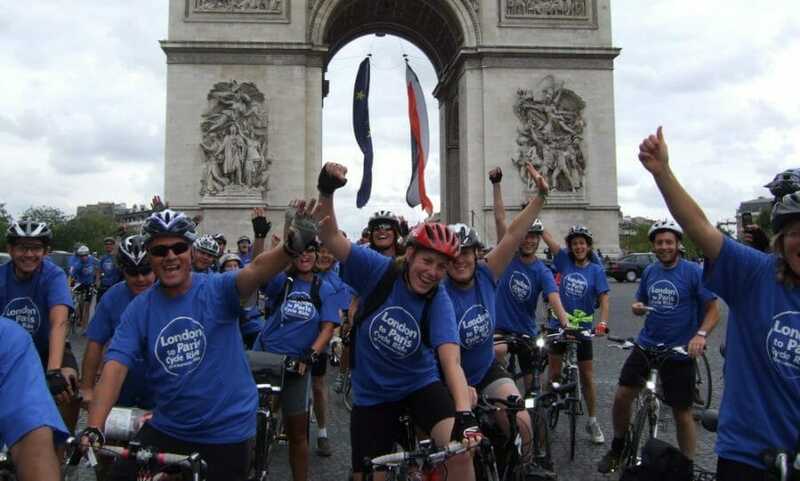 After crossing the finish line you can then enjoy celebrating your achievement with a night and day in Paris! Starting at the iconic Lee Valley VeloPark, home to the London Olympic cycling events, this beautiful route takes you on rural roads through the Hertfordshire and Essex countryside. There will be two break points en route, where you will find snacks, lunch, toilets, water, as well as medics and mechanics. Skirt the historical city of Cambridge before being cheered onto the finish line by your supporters and receiving a well deserved medal and glass of something bubbly! The event is not timed and it is not a race- it’s about having a great time, enjoying the challenge, and raising funds.